cashback of Rs.50 on a minimum transaction of Rs.50. 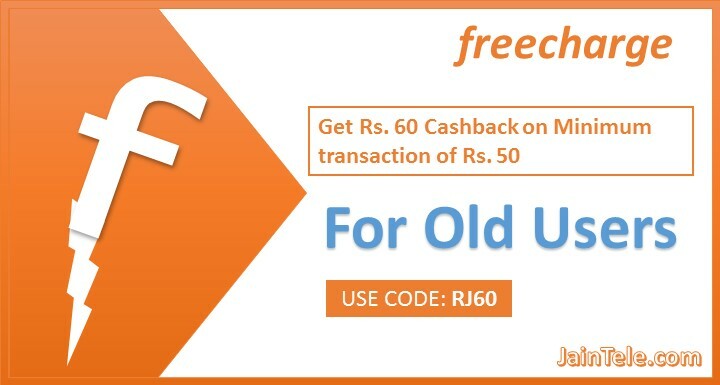 Now here I am sharing the coupon code which will give you a cashback of Rs.60 on a minimum transaction of Rs.50. All the step, Term and conditions will be same as it was for the coupon RB50. Still sharing here the steps to redeem the coupon.